Good companies have Rockstars. Some of them sing and play musical instruments too. But those aren’t the Rockstars we’re about to introduce you to. These are from Adobe. And Adobe came to us for ideas to celebrate them. You are cordially invited to the celebration. Who are the Rockstars of Adobe? 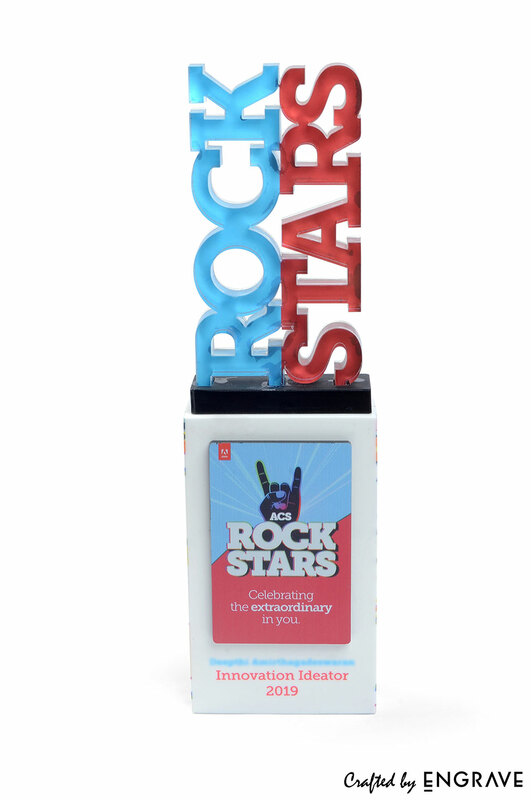 The Rockstar Awards of Adobe are for high-performers. Adobe wanted to have an event for these stars. At this gala, they wanted to hand out memorable keepsakes to them. For this, they came to us. Adobe asked for something quirky, but not too casual. These were professional stars. The mementos had to look elegant, classy, and, of course, professional. Using high end acrylic and inventive design, this is what we came up with. And we did so in a couple of days. Well in time for the big do. Do you like what you see? Thankfully, Adobe did. The images attached will help you appreciate them better. 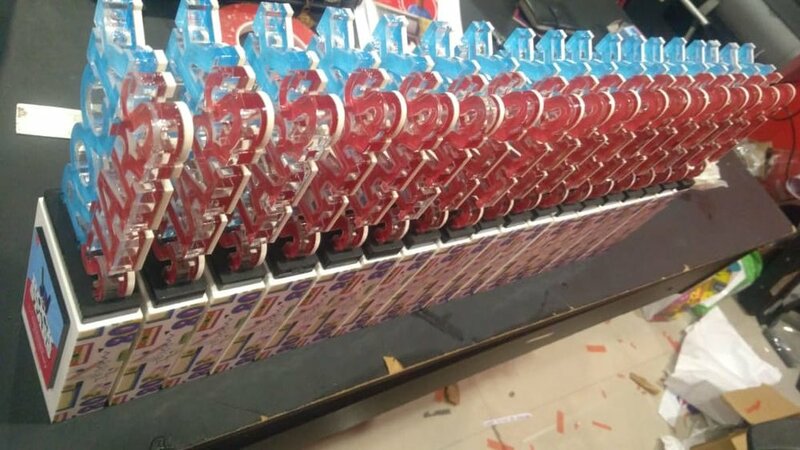 This is just one of the many success stories we have handcrafted for some of the biggest brands in India. Perhaps we can do the same for you as well?